This title was first published in 2001. 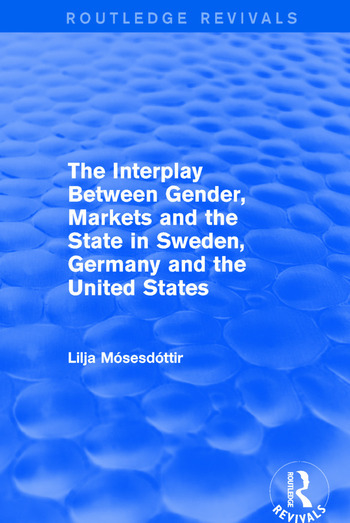 The development of gender relations during the post-war period in Sweden, Germany and the US forms the core of this work. It looks at the hierarchical relations between men and women based on economic, political, social and biological differentiations. The analytical focus is primarily on how actors, cultural norms and institutional arrangements interrelate and affect the relative position of men and women to create patterns/forms of gender relations that vary across countries and change through time. The main advantages of a comparative study is that it highlights the differences and similarities of the countries being compared. This book argues that social blocks involving a stable system of relations that have challenged and become embedded into institutional arrangements are the main force creating differences in the patterns of gender relations across the countries.